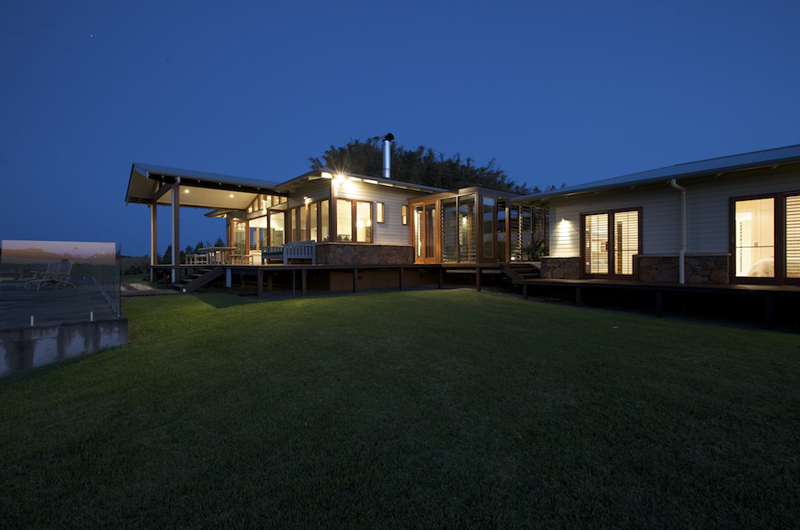 "This is a stunningly master built pavilion style home with generous space, and loads of light throughout. All the living areas and bedrooms face north and open onto huge decks from which you can soak up the views." 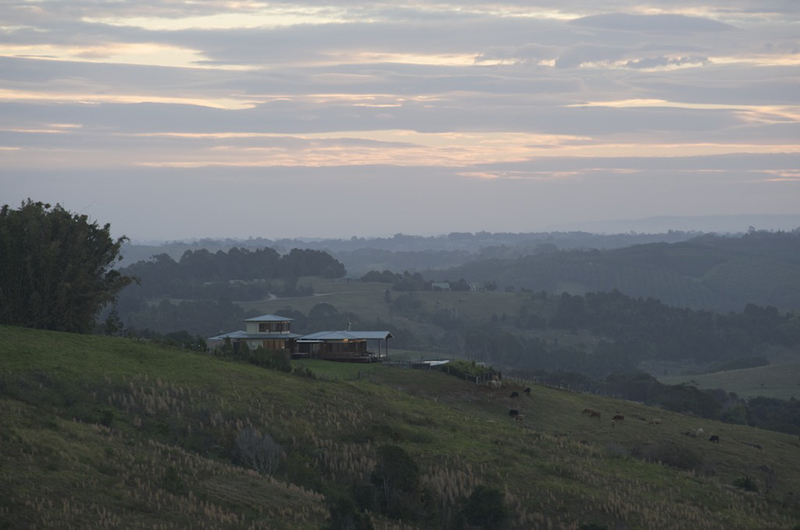 The house needed to provide significant shelter from strong north-easterly, southerly and westerly winds while allowing the occupants to enjoy the spectacular panoramic views available from this hilltop site. Council also required buildings on such exposed sites to be designed to keep low and snug with the hill. The house was designed to become the family home base in the future, with all but the private parents area to be rented out as luxury accommodation in the meantime. In order to create a range of different spaces that would be sheltered at different times of the day and year, we developed a pavilion approach. 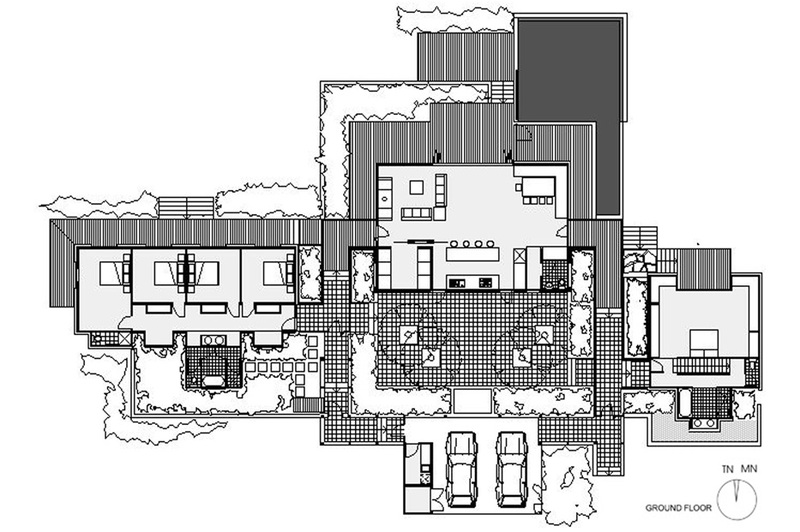 The four pavilions (for living, bedrooms, parents and garage) connect by a covered and partially enclosed walkway, providing a central sheltered courtyard, and a variety of other landscape spaces. This approach also enabled the house to be very flexible in its usage. 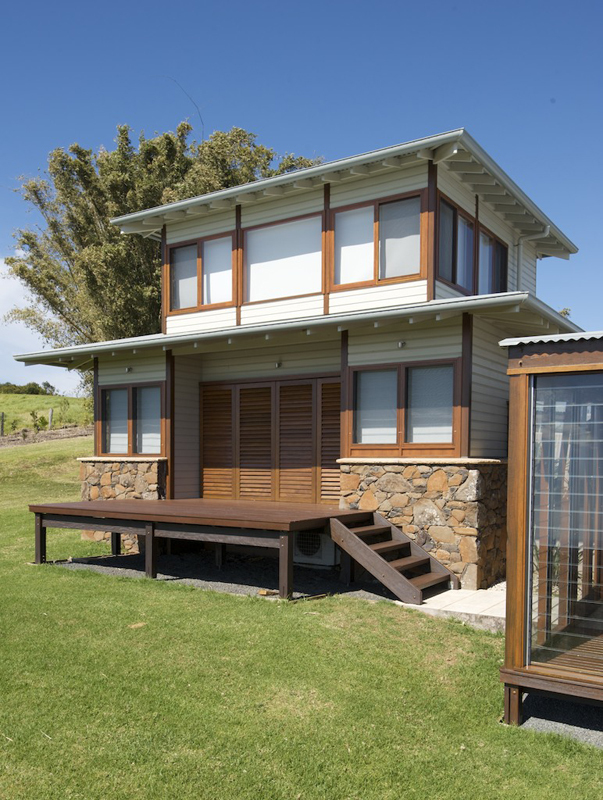 The clients can stay there enjoying all the pavilions with their 4 children, or the house can be rented with tenants using the living, bedroom and garage pavilions. The parents pavilion can be enjoyed on its own or with combinations of the other pavilions. Heating system - open timber fire using timber collected on site. Ceiling fans to bedrooms and living rooms. Low energy lighting using fluorescents and LEDs. No mains supply - all water used collected from roof. Bio-septic system deals with all black water on site. 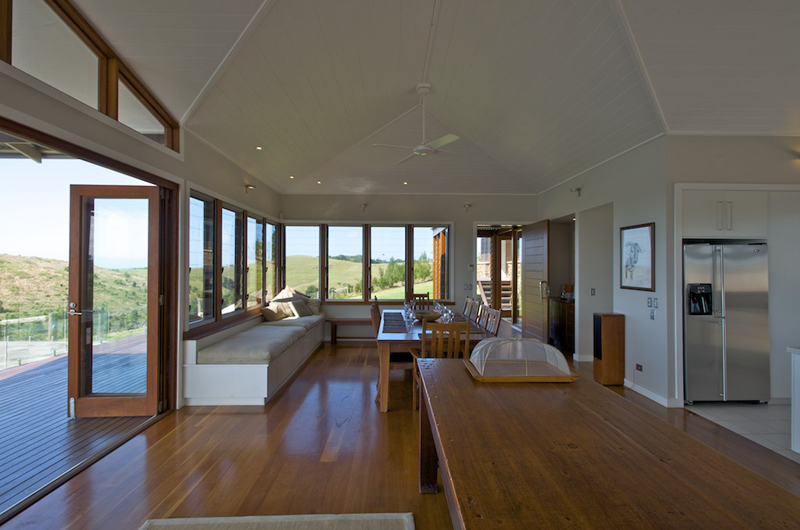 Timber from sustainably managed forests used for windows and doors frames. Land used for house improved by project. Garden and outer areas of the property design to enhance local ecosystems and encourage local flora and fauna.